I like fan mail. So I just have to share. Hi Claire. My name is Lily, and I have read ALL your posts. First I thought it would be horrible to have a pump because it would be uncomfortable but because that you said its really good, I suddenly want one!!! Thank you for helping me like the pump with your awesome and funny posts!! 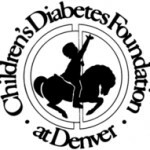 Writing this blog seems worthwhile to me when I am able to reach out to people and help them with their own journey with diabetes. So this time I wore a dress with boots, and then I clipped my insulin pump onto my boots, so I could get my insulin pump without having to feel so awkward about it like I usually do. So band was my first period, and people kept on bugging me out of genuine curiosity because they obviously didn’t have any idea what an insulin pump was, and I must say that I was enjoying the attention. After band I was checking the list to see who made it into Wind Ensemble (the highest band at my school) when a girl came up to me. Her name is Sam, and she told me that she really liked my Medtronic insulin pump, and that her’s was boring and black. It turns out that a flute who sits three feet away from me is a fellow type 1 diabetic. That pretty much made my day. We talked a little about going to diabetes camp, and then I had to leave to go to class. So if you wear your insulin pump on your boot, you realize that people have a ton in common with you. That little thing made me happy for the rest of the day. 🙂 And I still am happy. 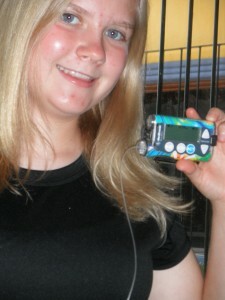 Type 1 Diabetic, Diabetic blogger, Insulin pump fashion-ista. Last week my dad came home, bringing with him a small little package of joy. 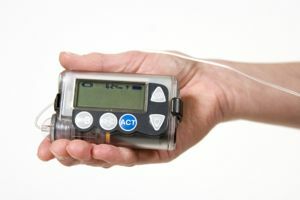 I’m sure that you can guess what it is: A brand new insulin pump. So long, shots in the bathroom! I can eat without worrying about what I’m going to have or dessert and have FREEDOM! Yay. Contrary to my ¨I’m cool with it¨ attitude in the title, this is actually one of the weirder things that I’ve done and I’m so looking forward to being able to stop. As I mentioned in my last post, my pump broke so I am going pump-less for the next couple of days. I am sort of cool with it fashion wise, because now I don’t have to hide it in my school uniform and I don’t have to worry about what to say if someone sees my pump. It’s awesome. However, now I can’t just eat whatever I want to whenever I want to. 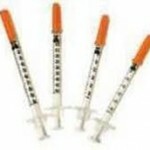 Take shot for dinner, oh, we have ice cream, you know, on second thought I think I’ll pass both injection and ice cream. I’ve decided this for sure: I’ve been taking my pump for granted, and it’s time to cut it out and tell it that I love it. Maybe that’s why it broke in the first place. I’d completely forgotten that it hurts to take 20 units of lantus. Gah. Also, giving yourself a shot in front of everyone sort of labels you as “freak show”. 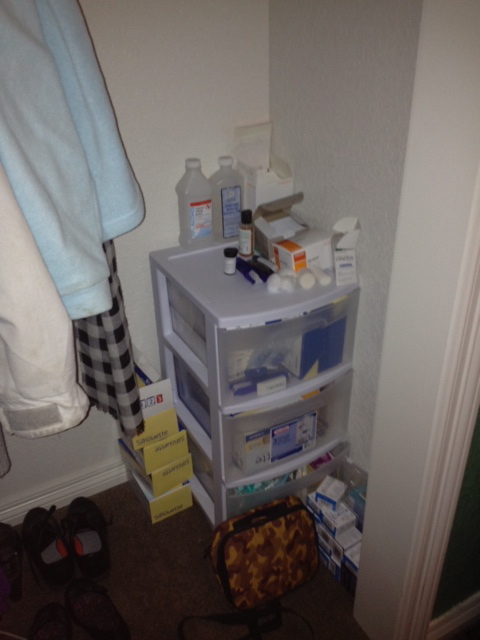 People already freak out when they see me check my bloodsugar, so much to the extreme that I’ve had to take precautions and go on trips to the bathroom or hide the darn tester under my desk. Giving yourself a shot is just one step to many above “stick a needle into finger and bleed”. So, I am going to the bathroom and giving myself shots for lunch there. People might think I’ve got really bad diarrhea or something but at least they can miss the “horrifying part of sticking a needle into my arm”. A little less freaking out, folks. And hold the applause. 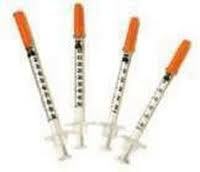 I even have to sneak my needles into my lunch box so people don’t see them and wonder. I’m already the weirdo with blond hair who speaks English, so I’m going to try my very hardest not to become the weirdo who gives herself shots and bleeds for the fun of it. Nope, not a chance. My brother came up with that one (the title). Actually, my insulin pump broke, but same difference, right? I got home from school on Thursday and when I tried to bolus for a snack, none of my buttons would work. For those of you who don’t know, I use the MiniMed Paradigm 722. So anyway, I was playing around with it and changed the battery a couple of times to make sure that it wasn’t a battery problem, and then I called Medtronic. Yup, sure enough it was broken. Lovely. Not. It even gets more complicated then it already is. Remember how I live in Mexico? Well, that means mail is a lot more complicated. Usually Medtronic will send you another pump overnight and it will arrive the next day. That really isn’t an option when your living in Mexico. My dad regularly leaves to the US for work so we had the pump shipped to his next hotel. Nonetheless, I am pumpless for the next few days. At first I thought it was awesome. I could wear what ever shirt I wanted to without my pump sticking out and there weren’t any holes in my body. But then I started to hate my 20 units of Lantus every night, taking a shot whenever I wanted a banana, and well, you get the idea.